Following a tough loss against No. 7 Michigan in Ann Arbor, Michigan, the University of Wisconsin men’s basketball team (17-7, 9-4 Big Ten) will return home Tuesday night for a matchup with Head Coach Tom Izzo and the No. 11 Michigan State Spartans (19-5, 10-3). While the Badgers currently boast an impressive 9-2 home record, the Spartans will be no walk in the park. The now No. 20 Badgers will have to bring their A-game if they want to come out on top. Everything for Michigan State starts with point guard Cassius Winston, a 6-foot Detroit native leading the team in scoring with 18.6 points per game. But it’s deeper than just that single number — Winston is also shooting an outstanding 44.5 percent from beyond the arc, which forces the defense to apply constant pressure on the perimeter. 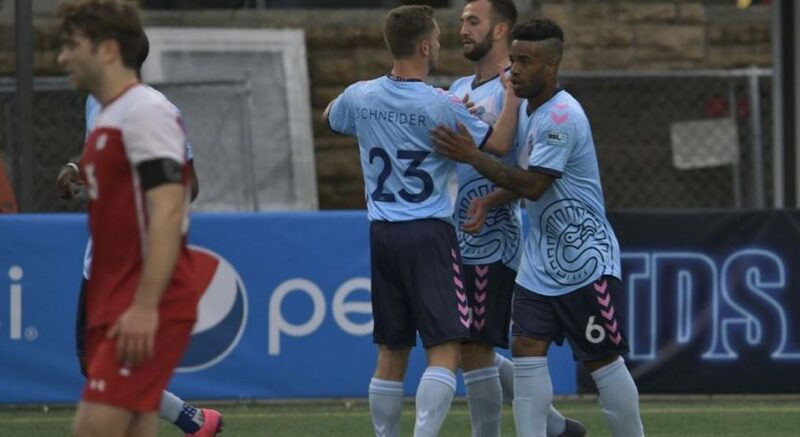 When that happens, his speed and ball skills are effective enough to get himself past just about any defender. He’s a matchup nightmare, not only because Winston get himself a bucket, but he also averages a conference-high 7.4 assists per game. Most of the defensive duties on the Spartan star will likely be split between D’Mitrik Trice and Brad Davison, both of whom are looking to rebound after sub-par performances in the team’s loss to Michigan. Finishing with eight and nine points, respectively, the backcourt tandem couldn’t seem to find a rhythm against Michigan’s big, strong guards. Boding well for the UW backcourt, the Spartan’s guards don’t bring the same explosiveness in the half court, which means Davison and Trice should be able to play up tight on the perimeter and force them to drive. Winston attempts almost half of his field goals from downtown while starting two-guard Matt McQuaid shoots 65 percent of his field goal attempts from deep. The Badgers also have a distinct advantage that should allow them to keep the Spartans from dominating the paint — size. Between Ethan Happ and Nate Reuvers, the Badgers have a significant height and length advantage over Michigan State’s forwards, 6-foot-9 Nick Ward and 6-foot-8 Xavier Tillman. Wisconsin should be able to apply constant pressure to Michigan State’s three 40-percent plus 3-point shooters and bait guards into putting up contested layups. It’s what the Badgers, and Reuvers in particular, have been doing as of late. The sophomore has averaged five blocks a game over the past week, including a seven-block performance against Minnesota. But all of this only works if Wisconsin can slow down Michigan State in transition. The Spartans lead the Big Ten in scoring at 81.9 points per game, whereas Wisconsin averages just 70.6. Izzo loves to get his team out and running, which is part of why he recruits smaller frontcourt players. Despite being relatively undersized for their positions, Ward and Tillman are elite rim-running bigs, meaning they can get down the court before the defense gets a chance to set up for easy dunks. This really isn’t something the Badgers can compete with, as Michigan State’s bigs are simply more athletic. 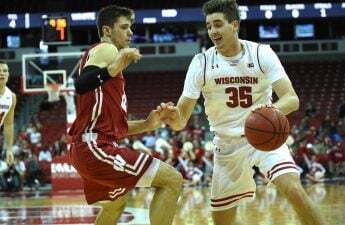 Wisconsin will need to try to slow the game down and keep play in the half-court, which is nothing new for Bucky — it’s been the calling card of the Wisconsin program for years — but if they can’t do it Tuesday night, things could get ugly fast. 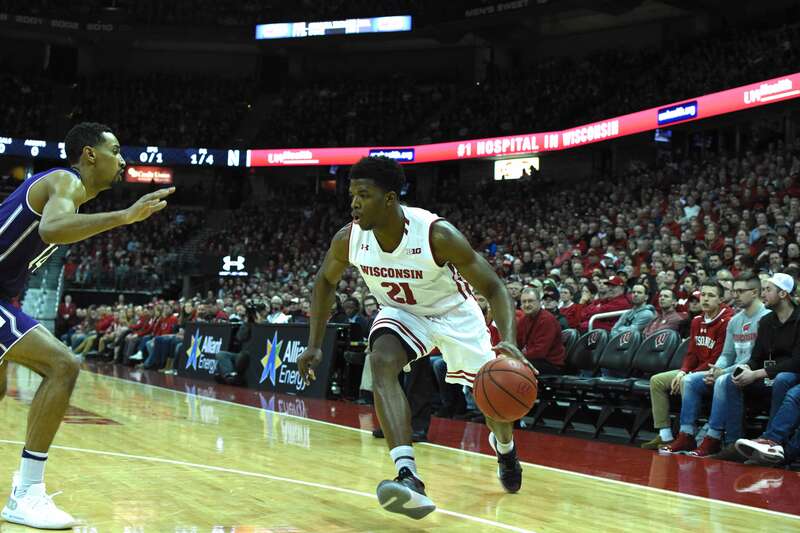 The Badgers’ return to the Kohl Center will be one of polar opposition, and whichever squad can force the other into playing their style of basketball will likely come out victorious. If it’s a slow, grit-and-grind game, Wisconsin should come out on top. But if they let Winston get going on the break, head coach Greg Gard and the Badgers could be in for a long night.